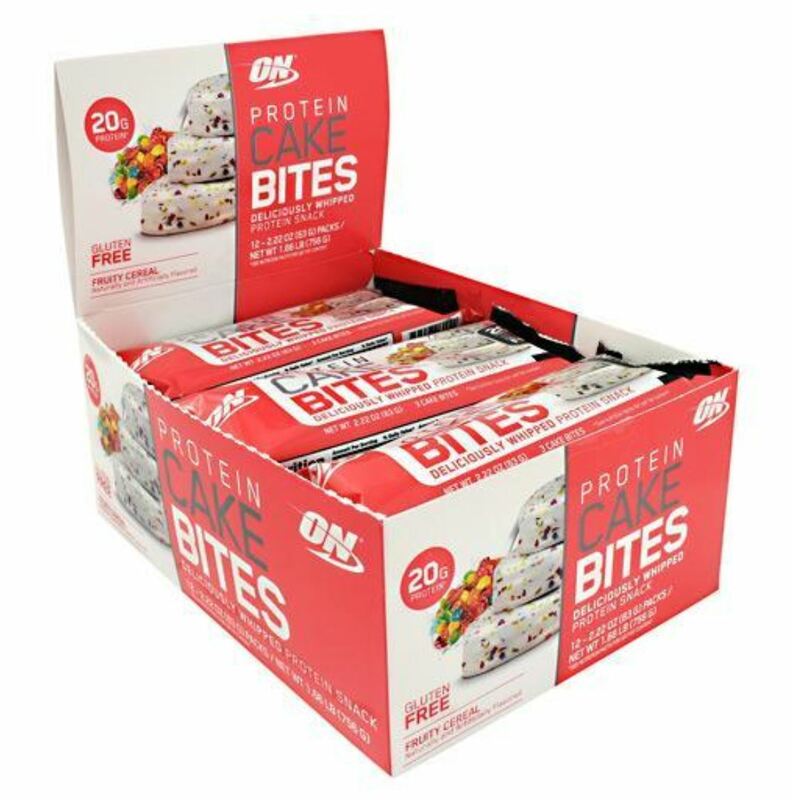 The Glanbia-owned Optimum Nutrition has just launched its latest flavor in their Protein Cake Bites lineup. Following suit with a handful of other supplement companies (like Ghost Whey, Merica Labz Patriots Whey, and Sparta Nutrition Spartan Whey), Team Optimum is trying to break into the “cereal” themed flavor options, only in ready to eat “protein bar” form — with Fruity Cereal Cake Bites. 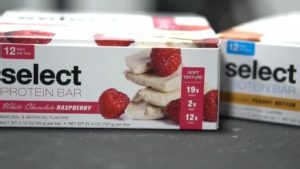 Optimum Nutrition has released its newest Cake Bite flavor – Fruity Cereal! Back in 2017 we gave the original flavored Cake Bites a whirl and came away very impressed with the unique spin from O.N. Compared to a standard taffy textured protein bar, Cake Bites gave us a new way to enjoy hitting protein macros. We’re not sure if they’re going for “Froot Loops”, “Trix”, or “Fruity Pebbles” style flavor and texture, but no matter what, we’re excited, because we love all three of those! You can check out our analysis of the original Cake Bites here! We loved having a new twist on protein snacks. Are you wanting to give Optimum’s Fruity Cereal Cake Bites a try? Don’t forget to check out the best prices and deals with the PricePlow price tool and sign up for news alerts over Optimum Nutrition! This terrible failure needs to be exorcised properly so we can make more shelf space for these Cake Bites! Of course we were skeptical to try these at first because the mega-company’s first attempt at a protein snack was the very poorly-received Opti-Bar. 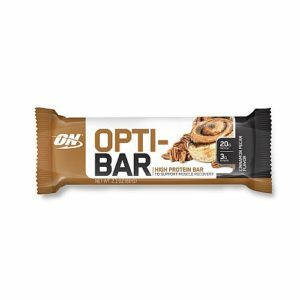 The Opti-Bar seemed to be a poor attempt to simply “keep up” with the protein bar market, as it lacked any type of “wow” factor and was a fairly bland take on protein bars. We were thoroughly impressed with the cake-like alternative though in cake bites, which leads us to believe the new Fruity Cereal Flavor will be a must try. 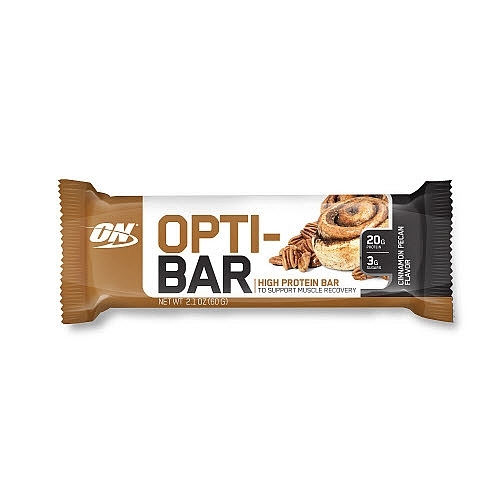 At this point, if they haven’t already, ON needs to just kill the Opti-Bar and focus solely on these Protein Cake Bites. Double down on what works and get rid of the embarrassment. For starters, Optimum uses a protein blend of whey isolate, milk isolate, and milk concentrate with its cake bites… so this isn’t some cheapo soy protein bar. This often leads to a much softer and cake-like texture compared to a single protein sourced snack, which will generally be too chewy or crumby. Looking for a good white chocolate raspberry? Then finally, PEScience has entered the protein bar market with Select Protein Bars… and they’re seriously hyping the taste and texture! Case in point? The new PEScience Select Protein Bars, which use a massive blend and easily follow through on their taste and texture promises – click here to see our PEScience Select Protein Bar review! We aren’t fans of the isomalto-oligosaccharide (IMO) fiber but Optimum is transparent on its label, identifying the binding source that it uses and not counting it as a dietary fiber. We definitely appreciate the honesty. It’s not the IMO we dislike, it’s the fact that too many people got duped by the fiber “claims” made way back by companies such as Quest when they started using them. You can check out our thoughts on IMO fiber here. Sure this isn’t the “cleanest” protein treat we have seen, but for a new twist on texture and flavor, the cake bites definitely deliver a unique experience and are worth trying if you haven’t! Optimum has quietly added some new products to its fans “down-under” in New Zealand and Australia as well, which we’re hoping will make its way to us in the United States. Among the new additions are a Protein Crunch Bar, which appear to be similar to the Glanbia-owned BSN’s Syntha-6 Protein Crisp Bars. 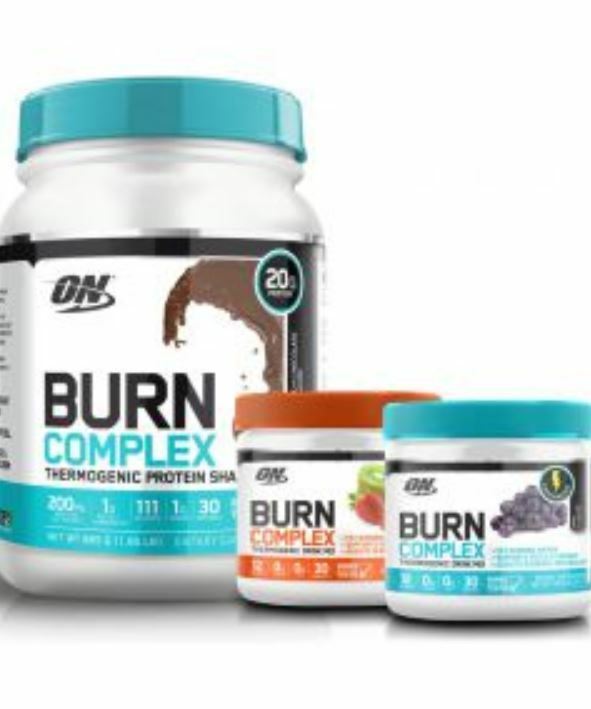 Optimum is taking a new spin on fat-burning supplements! The Burn Complex line has three thermogenic-inducing products, with a caffeinated and decaffeinated pre-workout, along with a thermogenic-inducing whey protein. The fat-burning protein shouldn’t come as a surprise, since BSN has its own version of a fat-burning protein, with “IsoBurn“. With Optimum taking ideas from its sister company BSN, it looks like the two lines will be more identical than ever. With the new Protein Crunch Bars and Burn-Complex line being international, you may have to be patient to try them. Looking for any other Optimum Nutrition products? Sign up for ON news on our Optimum Nutrition page, and see some of our other protein bars listed below! Comments | Posted in Supplement News | Tagged BSN, Fiber, Glanbia, Isomalto-Oligosaccharides, Milk Protein Concentrate, Milk Protein Isolate, New Zealand Supplements, Optimum Nutrition, Protein Bars, Whey Protein Isolate.